Companies that make superior customer experience a priority reap the benefits of repeat business, ultimately developing a loyal and concrete customer base. Customer experience is perhaps the most important aspect of a successful business. If a business manufactures a product that is of great quality and captures a niche in the market with the most amazing features but fails to provide its customers with an environment where they feel comfortable, that business can never be successful. According to Ramon van Leeuwen, CCO of TOPdesk, “Companies that make superior customer experience a priority reap the benefits of repeat business, hence developing a loyal and concrete customer base.” This customer loyalty guarantees sales from existing customers and also brings about new customers through the informal word-of-mouth marketing and endorsement done by these loyal customers. van Leeuwen further emphasizes that, “Companies with highly engaged employees get higher customer satisfaction scores.” In order to establish a great customer experience, the employees of the business need to be trained and be motivated in such a way that they engage with customers and develop a link between them and the business. This link leads to a sense of belonging and makes the customers feel welcomed, leading to greater satisfaction and thus, the association of positive feelings. The training of employees in such a way that brings about the most customer satisfaction stems from employee experience itself. Happy employees are most likely to make the right decisions and serve the customers in the best way possible and therefore ensures a happy relationship. The first and foremost step that any business looking to achieve a greater customer relation needs to take is, “Put(ing) yourself in your customer’s shoes.” That is, getting to know and thus understanding the needs and wants of their customers. This can be accomplished by establishing an effective two-way communication path to receive customer feedback; what they like, what they don’t like, what features of the product they enjoyed and what features were of no use to them. Getting the answers to these questions can greatly help a business, ultimately improving and providing the best and most useful product to customers and additionally, helps in ensuring the most effective response to their queries and complains – providing the best customer experience of all. Furthermore, the use of innovation should be a part of daily operations. Continually innovating processes and the way workers and staff interact with each other is one way to ensure effective customer service, thus elevating customer experience. Involving agility into operations so that customer requests and queries are responded to promptly is another flexible way to ensure success when it comes to a great customer experience. In today’s times, companies are focusing on serving customers better rather than generating numbers. 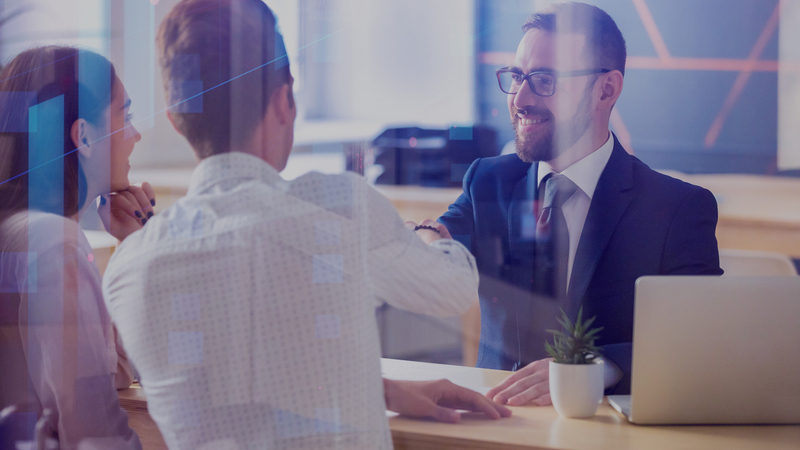 The shift from Service Level Agreements (SLAs) to Experience Level Agreements (XLAs) is making sure that customers receive the most optimal services. This is being done by putting the company in the customers’ shoes and evaluating what they want most, ensuring a smooth process of fulfilling their demands and ultimately achieving great customer experience. Moreover, people are now used to an increased level of spend, efficiency and cost-effectiveness when it comes to having their problems solved. The organization highly believes that in order to stay in line with competitors and stay relevant in the rapidly evolving business environment, striving to provide a great customer experience has become imperative and is something that is vital to business growth and success. Perhaps the most important group of customers today are the millennials and they require prompt responses to their queries and problems without having to do thorough and extensive processes or having to deal with staff. This particular group of customers are self-sufficient, and they are more inclined towards the use of technology. The advent of digitalization into an organization is almost necessary in the year 2019. Digitalization can be incorporated in providing a great customer service through automation of receiving and responding to requests and it is most well received by customers because it makes them feel valued and empowered. Using service automation can bring about great customer and employee satisfaction as it saves the time and energy of both parties. Perhaps the most important aspect of providing the best customer experience is the need for flexibility. Flexibility to adapt to new processes, flexibility to embrace new technology, and the flexibility to familiarize with new systems. When an organization is flexible it can deal with every problem that comes its way and can provide the best customer experience. Moreover, the need for coordination between different departments is key in making sure your customers are satisfied. There should be no need for customers going around looking for the right people to help them; help should come to the customers. With coordination, and harmony among departments, customers can be served to the best of the organization’s ability and provide a memorable customer experience. Communication, problem-solving and decision-making skills should be the most important training grounds for all employees in order to ensure the most effective and efficient service to be provided to customers. TOPdesk highly believes that, understanding the needs and wants of customers and making sure to fulfill them is important in ensuring a great customer experience. van Leeuwen highlights that, “We go the extra mile in ensuring that our customers do not receive a pre-recorded set of answers or a scripted conversation.” Instead, collaboration is key; active communication with customers is the game-changer in ensuring that applicable solutions are provided in a timely and effective manner. TOPdesk will be attending IndustryForum Central Government and Municipalities on the 15th-16th of May, 600Minutes Public IT on the 25th of September, and 600Minutes Executive IT in The Netherlands on the 1st-2nd of October 2019.